Book Club – Gilson Gardens, Inc.
I’m really fortunate to have a ‘book club’, mostly with former teachers in our local communities, and a ‘card club’, mostly with ladies in the nursery industry…both of which meet once a month! Sometimes we talk about books and cards. Mostly we talk about food! City of Thieves, David Benioff, a book-club selection about the siege of Leningrad in WWII. Under the Marble Sky, an upcoming selection. Little Bee, Chris Cleave, an upcoming selection for our book-club and an Oprah Book. Also, my husband and I read everything by ‘Martin Cruz Smith’, and he has read everything in the ‘Master and Commander’ series, all twenty-two books! Books are a portal to our souls! We lost our official greeter…Johnny…this Fall. What a great guy with so much spirit. 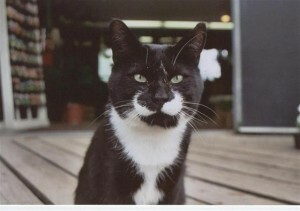 He was small but feisty and he would sometimes attack the dogs that customers brought through our garden center. Once, he jumped on the back of a giant heron that was wading in our pond. Johnny liked to THINK BIG and he knew no fear. We still have our five cats at home, but it’s just not the same here at the store. One of our special treats each holiday season is when the Perry Band ensemble stops by in our garden center to play some Christmas music! 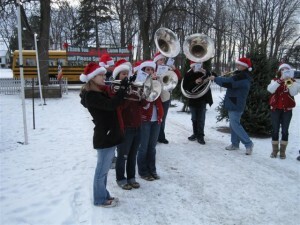 We’re already planning our Passport-to-Plants activities for June, 2011, when we partner with other local garden centers for a weekend of plants, music, pets and other fun stuff! 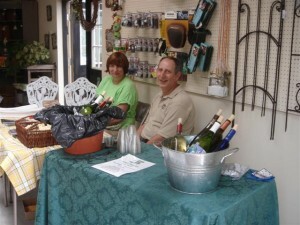 Here’s Nick Ferranti selling his own wines in our garden center at last year’s event along with our own Sue Koprowski. 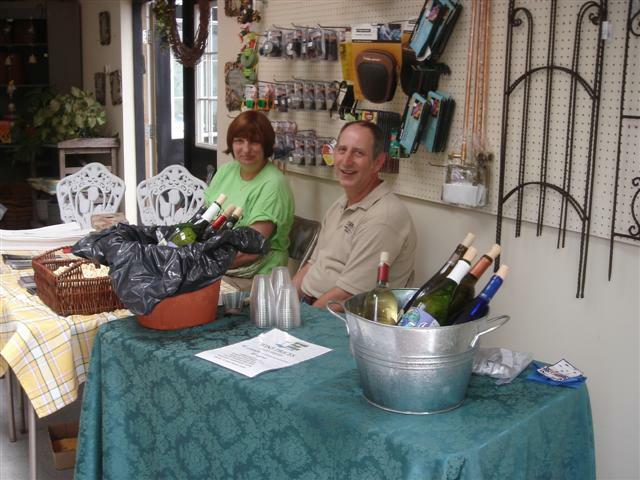 We enjoyed mixing wine samples with work and we encourage everyone to visit the Ferranti Winery!